Hello Fashionista! Are you one of Europe fashion fanatic lovers? If you rarely or never take a glimpse of other fashion in the other parts of the world, then you should think twice again when I introduce you to Shady Zeineldine, a fashion designer from Lebanon. Many people never thought before that the dresses they see are the creation of a designer from that place. It can be seen from the latest collection of Shady Zeineldine Couture fall winter 2014-2015. One hardly denies that the pieces are not from the hands of a genius designer. The new collection of couture dresses even more emphasizes it after the success of the other previous collection of Shady Zeineldine. 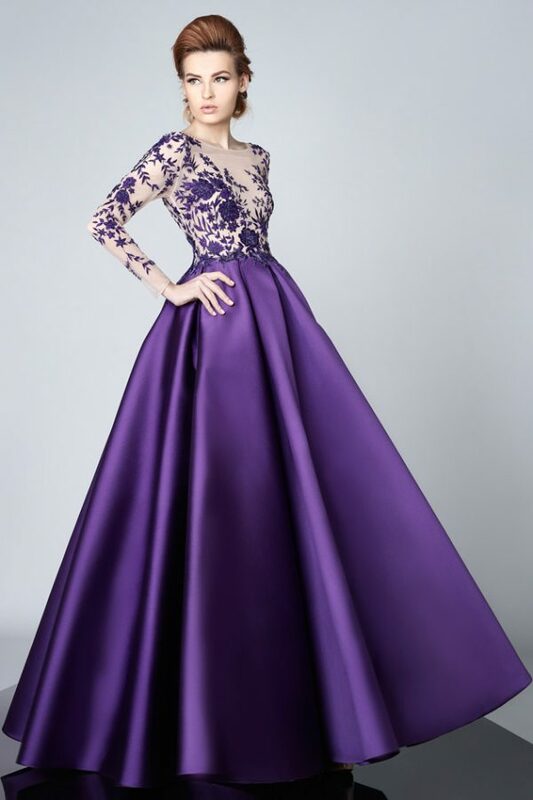 Shady Zeineldine is mainly designing couture gowns and bridal dresses, as well as the bridesmaid dresses, graduation dresses, and the kind of formal dresses. The pieces from the fall winter 2014-2015 collection show that each design is truly treated personally. You can see that the Lebanese designer, who based in both Lebanon and Kuwait, put 100% of her creativity to elaborate each couture design. Shady Zeineldine Couture fall winter 2014-2015 collection is enriched with millions of beads, sequins, and crystal, which bring sophisticated touch and luxury. The designs are outstanding. For the most important moment in one’s life, this couture collection is not a wrong choice. The bravely designed dresses will make anyone thrilled. Red, black, blue, yellow, and gold are still dominating the couture bridal gowns collection. 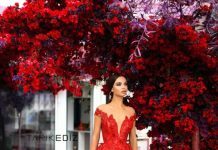 Shady Zeineldine Couture fall winter 2014-2015 is another glowing creativity from the Lebanese designer, which is dreamt by many women and girls for their weddings as well as their prom night. I am sure these images of the couture collection will give you a lot of inspirations.